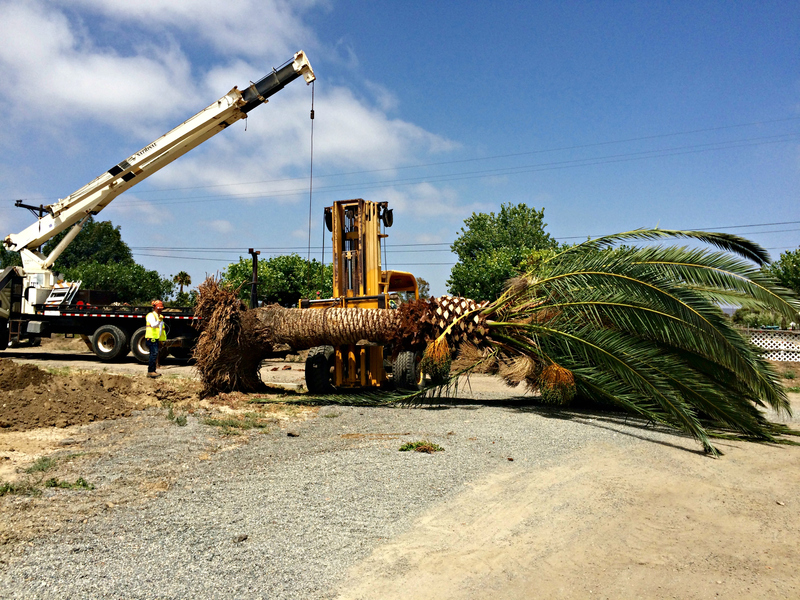 We were recently contracted to remove 2 large Canary Island Palm Trees. The trees were located along a street where the shoulder is set to be widened, which required that the trees be removed. Tree removal is one of the core services we offer. However, it’s always exciting when we can reuse or recycle a tree and transplant it to another location. 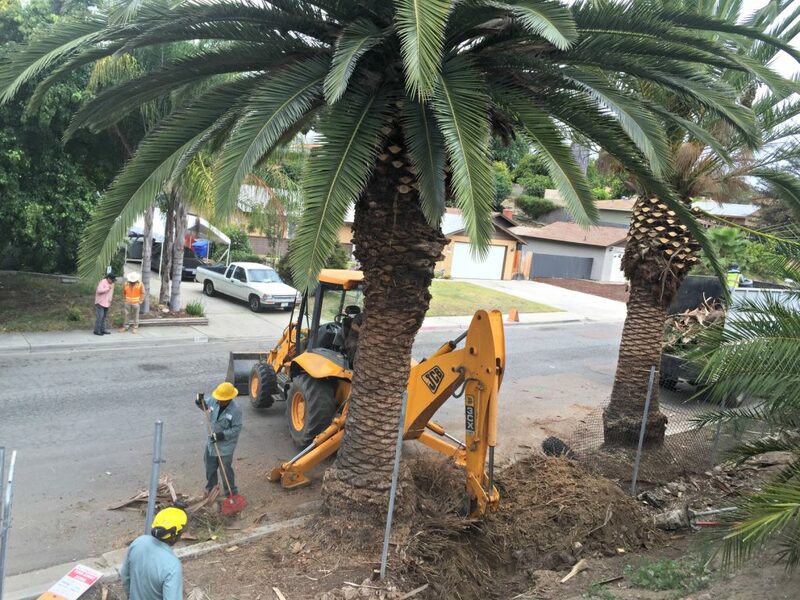 In this case, our licensed arborists decided these Canary Island Palm Trees were healthy enough to be transplanted. Tree & stump removal can be tricky enough, but transplanting the tree requires you to remove a tree without causing major damage that might prevent the tree from surviving the transplant. 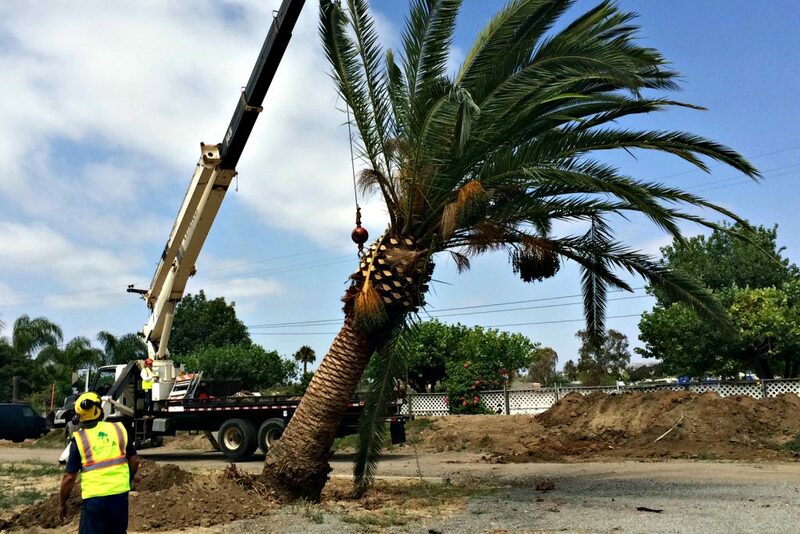 For a palm tree transplant, the root ball of the tree must be kept intact as much as possible. We carefully excavated the dirt around the base of the tree. We used a crane to gently hoist the tree, carefully rock it back and forth to loosen the roots, and lift the tree out of the ground intact. 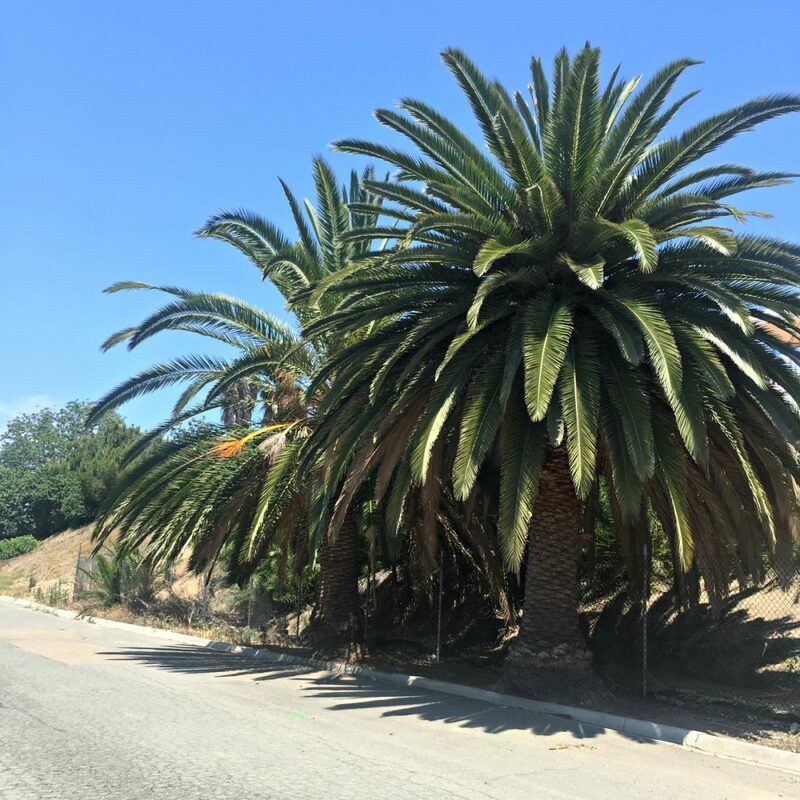 The palm trees were transported to a ranch in South San Diego where the owner wanted the trees planted near the driveway. 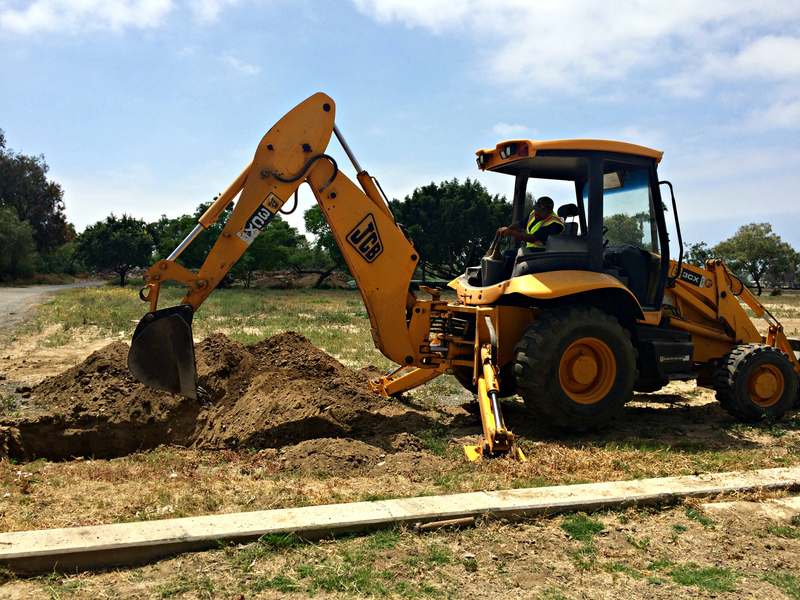 Using a backhoe, we dug the hole to the proper depth for the tree planting. 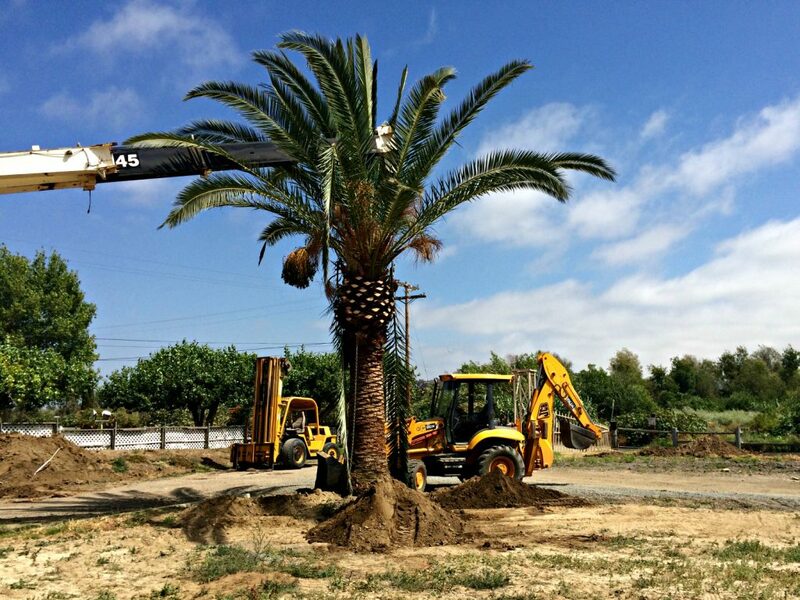 With a forklift and crane, we carefully lifted the trees and allowed them to settle in their new home. We staked the trees into the ground to hold them in place while the soil settles and their roots take hold and begin growing in their new environment. Once the trees have had time to adjust and take root, we will trim away any dead or broken fronds and remove the seed pods. 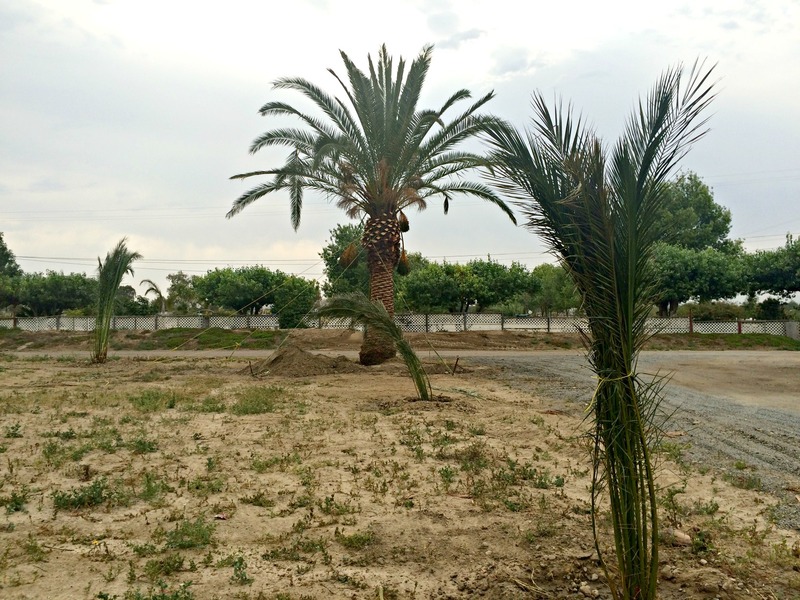 To complete the project, we planted 16 brand new Canary Island Palm Trees that will grow up over time to create a beautiful, tropical, luxurious environment. 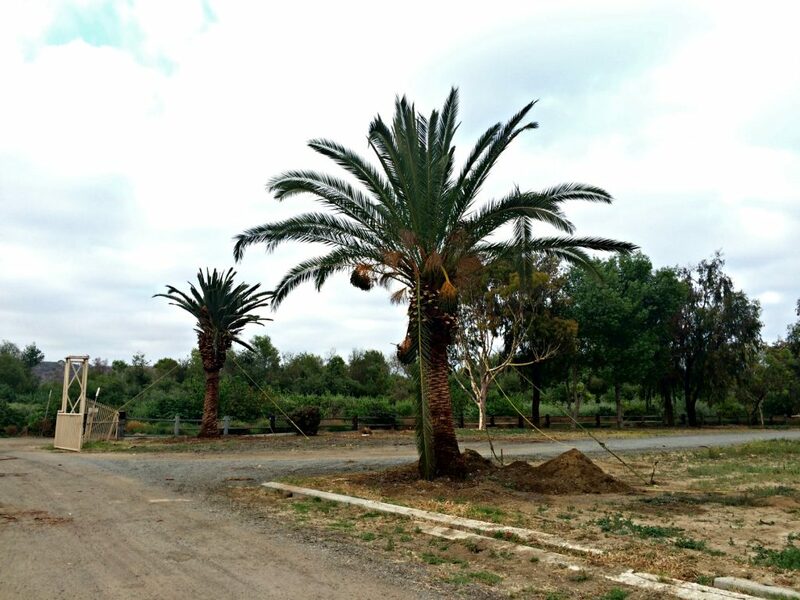 This palm tree transplanting and the newly planted palm trees have added a beautiful dimension to the ranch’s entryway that will last for years to come. Are you in need of tree planting or tree transplanting? Please contact us for a free consultation.